In my previous post I deployed a Data Collector to connect my on-premises vSphere environment with Cloud Assembly and also configured a Cloud Account. 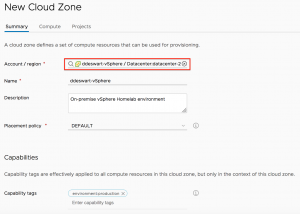 In this post I will walk you through how to setup a vSphere Cloud Zone including Flavor- and Image Mappings, Storage- and Network Profiles. 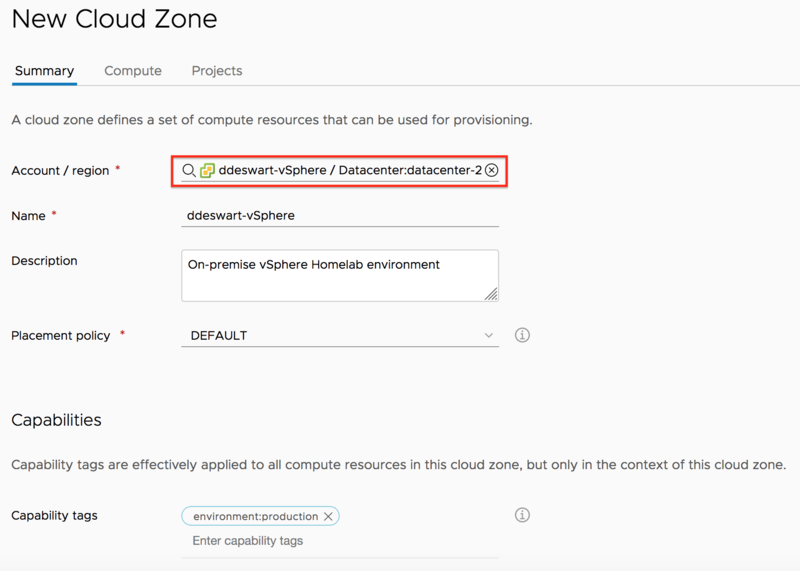 A Cloud Zone defines a set of compute resources for a cloud account type, such as AWS or vSphere, in a specific account region that are used when you deploy a blueprint. Cloud Zones are specific to a project. Additional placement controls include placement policy options, capability tags, and compute tags. In Cloud Assembly under the Infrastructure/Policies tab select Cloud Zones. Click New Cloud Zone. 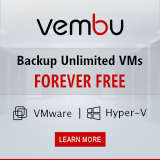 Select your vSphere Cloud Account. After creating a Cloud Zone you have to add this zone to your Project to be able to use it. In Cloud Assembly under the Infrastructure/Projects click New Project to add a new project. Or select an existing project to edit. Select the Cloud Zones tab and click Add Cloud Zone. Search your vSphere Cloud Zone to select. Enter a Provisioning priority. Default is 0 (highest). Enter a Instances limit. Default is 0 (unlimited instances). Enter a Memory limit in GB. Default is 0 (unlimited memory). Mappings and profiles help to control how and where compute resources are placed during blueprint deployment. Image and flavor mappings contain settings for the deployment’s OS configuration and resource sizings. In Cloud Assembly under the Infrastructure/Policies tab select Flavor Mappings. Click New Flavor Mapping to create a mapping. Or select an existing mapping to edit. Enter a Flavor name. For example, small. Under Configuration, select your vSphere Cloud Account and enter values for Virtual Machine Number of CPUs and Memory related to small. In Cloud Assembly under the Infrastructure/Policies tab select Image Mappings. Click New Image Mapping to create a mapping. Or select an existing mapping to edit. Enter a Image name. For example, centos. Under Configuration, select your vSphere Cloud Account and select one of your automatically discovered vSphere templates. 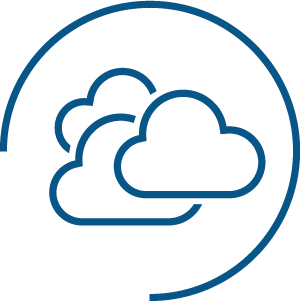 A storage profile is a cloud-specific set of policies that let the cloud administrator define storage for a cloud account region. Storage policies include disk customizations, and a means to identify the type of storage by capability tags. Tags are then matched against provisioning service request constraints to create the desired storage at deployment time. 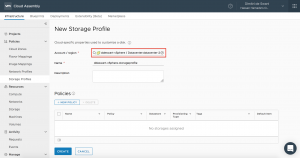 In Cloud Assembly under the Infrastructure/Policies tab select Storage Profiles. 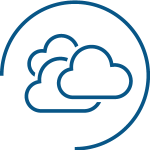 Select your vSphere Cloud Account and enter a profile name. Setup the Policy by selecting the correct configuration and the datastore it applies to. Click Add. The created Policy will automatically be the default policy. Back in the Storage Profile, click Create. 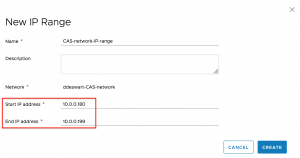 Last thing to do is creating a Network Profile to connect the correct network during VM provisioning and assign a static IP address. A network profile defines a group of networks and network settings that are available for that cloud account in that region. Based on tag matching, one or more networks in one or more matched network profiles is available for use when a blueprint is deployed. The network and security settings that are defined in the matched network profile are also applied when the blueprint is deployed. 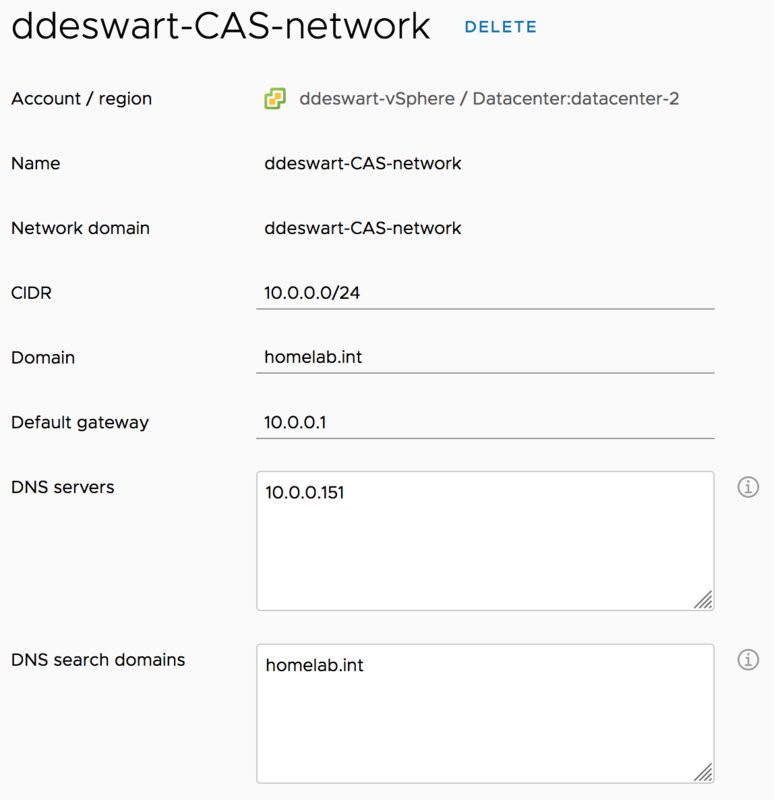 In Cloud Assembly under the Infrastructure/Resources tab select Networks. 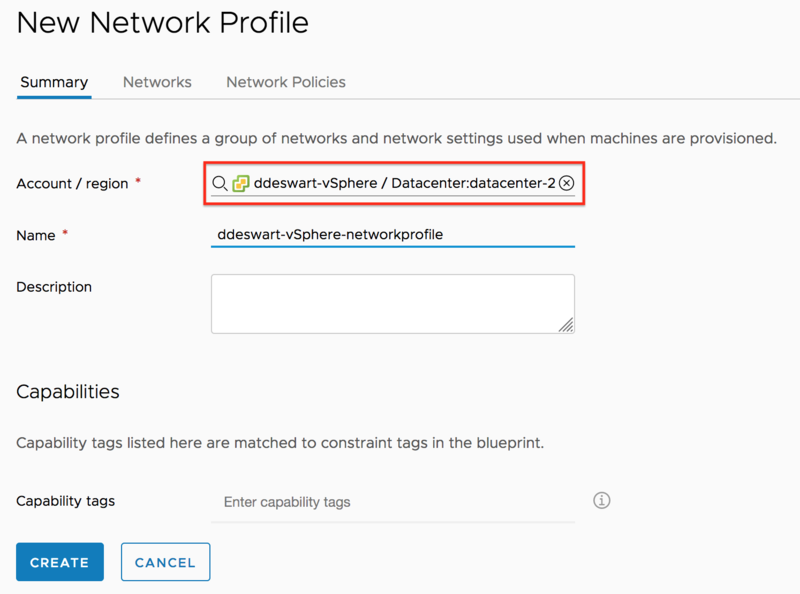 Select your discovered vSphere network you want to use in your Network profile. 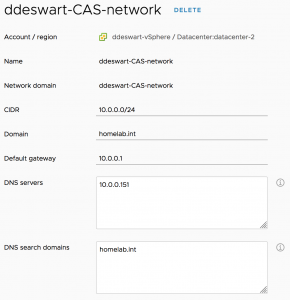 Enter information about your network like CIDR, domain, default gateway and DNS. 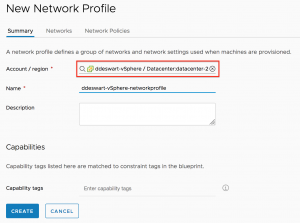 Select if this network supports Public IP and/or if this is the default network for your vSphere Cloud Zone. Optionally, add a (existing) tag. For example, ipam:true to inform that this network has a static IP-range configured. Next, create a Network Profile using your vSphere network. In Cloud Assembly under the Infrastructure/Policies tab select Network Profiles. In the Summary tab, select your vSphere Cloud Account and enter a profile name. Under the Networks tab, click Add Network. Select your vSphere network, the one we configured in the previous steps above. Click Add. 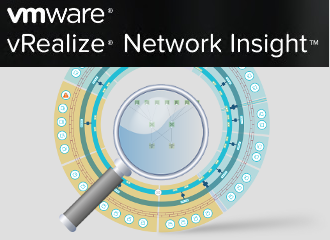 Select the network and click Manage IP Ranges. Click New IP Range. Enter a name for the IP Range and enter a Start and End IP address. Click Create. Back in the Network Profile, click Create. In my next post I will show you how to design your first Cloud Assembly blueprint for vSphere using the design canvas and infrastructure-as-code.